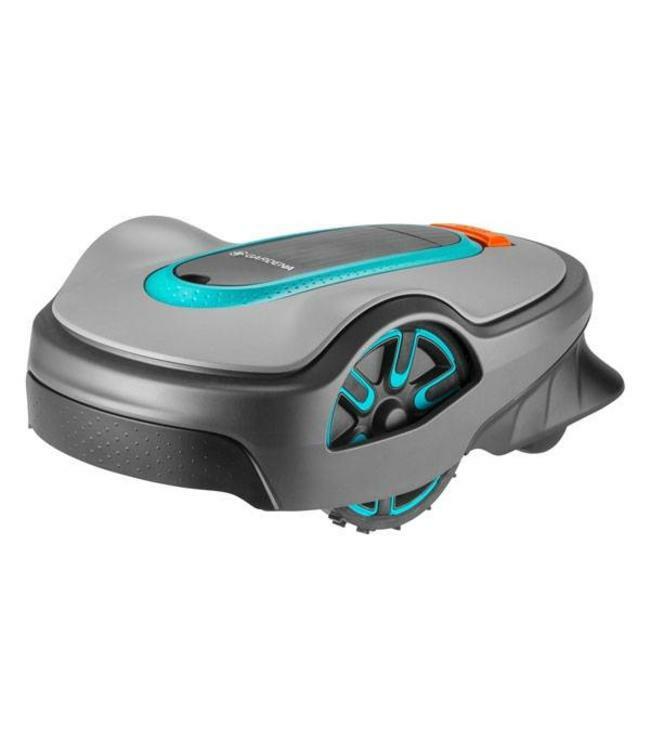 The robotic lawn mower is perfect for the use in gardens of up to 750 m2. Thanks to a powerful lithium-ion battery, it manages gradients of up to ±30 % (17°). With only about 60 dB it is especially quiet during mowing. You can define up to three entry points within the lawn area for your robot mower. In complex gardens, it reliably finds its way into remote areas, which are only connected to the main mowing area through narrow passages. This guarantees an evenly mowed lawn throughout the garden! The Gardena Sileno life 750 offers the "EasyPassage" function. It enables the robot lawn mower to automatically recognize when it is moving through a narrow corridor. It adjusts its navigation accordingly and then traverses the spot particularly efficiently and skillfully. This reduces traces on the lawn. For the robotic lawn mower, individual mowing times can be defined. All settings can be made on the user-friendly LCD display with keypad. The lawn robot follows the plan reliably. Even rainy weather does not bother the Gardena Sileno life 750. After a complete mowing process or when the battery charge level is low, the robot lawn mower returns to the charging station. There it automatically recharges for the next mowing operation. The robot mower does not navigate by following a specific pattern, but randomly. It cuts the lawn with three blades, which are attached to a rotating disc. The cutting height is infinitely adjustable between 20 and 50 mm. The fine grass clippings fall to the ground as a mulch. There they moisturize and serve the lawn as a natural fertilizer. The result: a dense, lush green and healthy lawn. 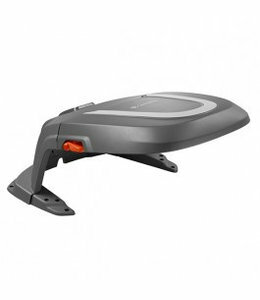 The robotic lawn mower can automatically adjust its mowing frequency to the grass growth by using the "SensorControl" function. It reduces the mowing time during hot and dry periodsand increases the mowing frequency as the grass grows more during rainy periods. This gives your lawn exactly the care it needs. The Gardena Sileno life 750 is equipped with many safety sensors to ensure safe operation. Lift and tilt sensors immediately stop the blades, in case the robot lawn mower is raised or tilted. A collision sensor allows the robot lawn mower to detect obstacles. That means, it changes its direction as soon as it touches an object. PIN code and an anti-theft system protect against the usage by unauthorized persons. The robot lawn mower is ready for mowing after just a few steps. The scope of delivery includes all accessory parts for the installation: boundary wire, pegs and cable connector as well as a detailed user manual. The Gardena Sileno life 750 weighs only 8 kg and therefore is relatively easy to handle. In contrast to other lawn robots, this model can be cleaned under running water (for example with the garden hose). This makes maintenance easy and comfortable.